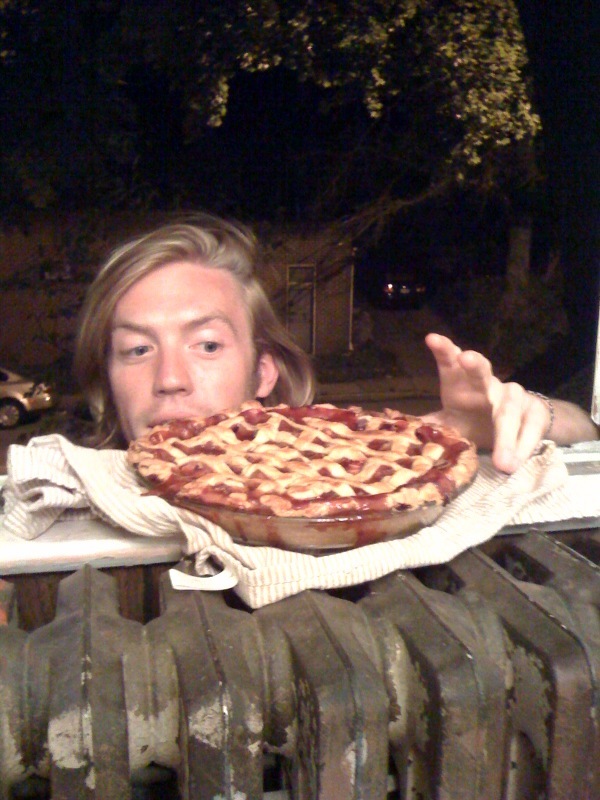 Nothing in the House: Pie Thief Hits Baltimore! It was a delicious pie, made from: ~3.5c strawberries cut into big chunks and 3.5c chopped rhubarb. The fruit was mixed with .5c brown sugar, .5c regular sugar, .25c cornstarch, and 1t ground cinnamon. The crust was the NitH (Nothing-in-the-House) standard crust. The bottom was pre-baked and the top was formed into a lattice and brushed with a sweetened egg wash. 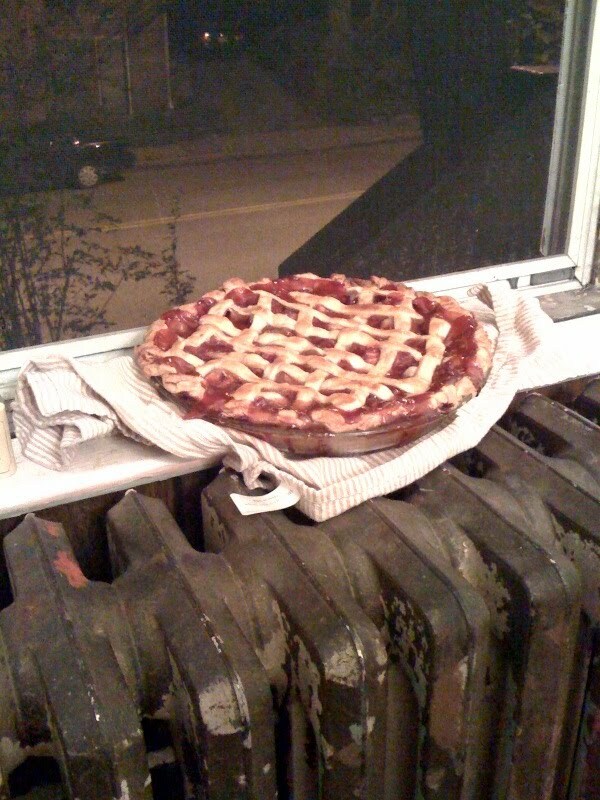 The pie was so good it attracted a real pie thief as it cooled on the windowsill of 902 Gorsuch St. in Baltimore.